Latest News & Updates ! 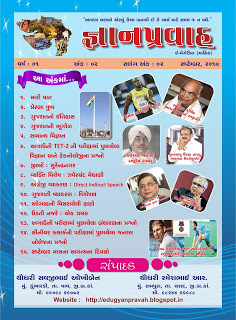 Home / GK / GYAN PRAVAH E-MAGAZINE / GYAN PRAVAH E-MAGAZINE SEPTEMBER MONTH ISSUE FOR ALL COMPETITIVE EXAMS. GYAN PRAVAH E-MAGAZINE SEPTEMBER MONTH ISSUE FOR ALL COMPETITIVE EXAMS.